Tents, Popups, Class 3 conversions and more (we even have 3 apartments)! Rio Grande Valley Explorer Rate $149 per week ON ANY AVAILABLE SITE! (These rates available by Phone or email only). 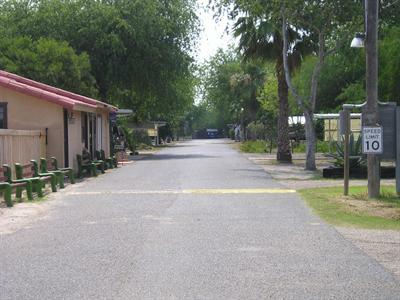 AmeriCana RV Park in Mission Texas welcomes Guests year around. Located minutes from the World Birding Center, the World Butterfly Center, and Bentsen Rio Grande State Park. We cater to Winter Texans, Snow Birds, and guests year round. If you are someone who likes a small friendly RV Park experience and happy with checking your email with a cuppa coffee under the Palapas - AmeriCana - is the place for you. Perfect for a quiet and relaxed stay. Pull in, pick a spot and kick back. Everything is READY for YOU. We have been busy keeping the gardens green. Drop in, take a look around and say Hi! We have a great team on board to make your stay everything you imagine it should be. AmeriCana: The Birding Center RV Resort!
. . . and yes, AmeriCana is PET FRIENDLY!!! Via San Antonio Use I-37 South/US-281 South for about 70 miles until exit 72 for US-281 South toward Alice/Three Rivers. Stay on US-281 South/ I-69C past Edinburg onto Exit for I-2/US-83 West towards McAllen. Continue on I-2/US-83 take EXIT 134 Inspiration Road/Business 83—stay in the lane used to exit. Turn left (West) on Business 83 to go under bridge. Two stop lights later is Bentsen Palm Dr…Turn Left (South) across railroad tracks. Continue for about 1,200 feet, turn into park at the AmeriCana sign on the right (main gate/office). From West Texas via Laredo and US-83 Continue on 83 take EXIT 133-Bentsen Palm Drive and turn right (south) at the Jack In the Box restaurant. Continue south on Bentsen Palm Drive for approximately a mile to stop light on Business 83 West. Continue south and cross the railroad tracks. Continue about 1,200 feet, turn into park at the AmeriCana sign on the right (main gate/office). Via Houston Take I-69/US-59 South towards Victoria and Beeville. Continue on I-69/US-59 South to Rivera and take Texas 285 West over to Falfurrias onto 281 South to Edinburg. Continue south until Exit I-2/US-83 McAllen take EXIT 134 Inspiration Road/Business 83—stay in the lane used to exit. Turn left (West) on Business 83 to go under bridge. Two stop lights later is Bentsen Palm Dr Turn Left (South) and cross the railroad tracks. Continue for about 1,200 feet, turn into park at the AmeriCana sign on the right (main gate/office). Any questions/corrections please advise Bill Davis 956-581-1705. Thank you and have a safe journey. You will not find a better location in the Rio Grande Valley. We are located about a mile off Hi-way 83 in a quiet relaxed country setting. Literally 'just down the road' are: The World Birding Center, The World Butterfly Center, Rio Grande Valley State Park, and Mission Hike and Bike Trail at the Birding Center. Within five miles are nationally branded stores, golf courses, restaurants, and entertainment venues. Nationally ranked medical facilities in Mission and McAllen are minutes from our doorstep. 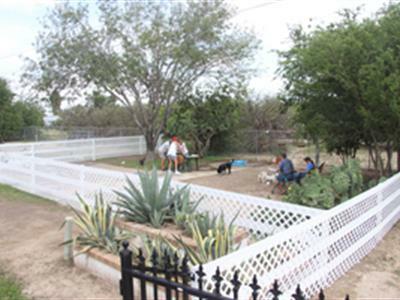 AmeriCana RV Park is down the road from McAllen Texas located in the heart of the Rio Grande Valley. We really do have some of the nicest RV Sites South Texas. Over the last several years we have updated the restrooms and installed new equipment in the guest laundry. 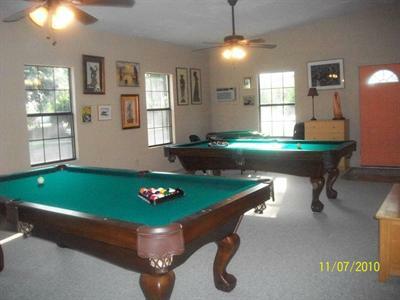 Recently added is a beautiful 800 sq ft Activity Lounge and an upgraded saline system for the heated pool. All of our Premium Sites now have Patios and we provide free Wi-fi in the club house, lounge and environs. DSL is available through ATT at many sites. We contract with a local landscaping company to insure each of our unique garden sites are ready to welcome you year-round! There are tropical fruit trees and flowers throughout the Park. Something is always in bloom at AmeriCana. Even a flock of GREEN Parrots make AmeriCana their Winter Texan HOME! Ultimately people make the AmeriCana Family. 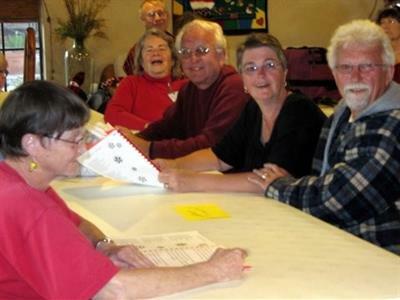 Our residents, guests and staff are some of the friendliest people in the Valley. Many return year after year simply because of the bond of friendship. Our goal is to create a quality RV experience and good memories. We hope you will give us a chance to earn your business. Our GUARANTEE to You -If you are not satisfied with your stay at Americana, and we can't resolve the issue, we will reimburse any outstanding balance and help you find something that meets your needs. The pages that follow offer a glimpse of the AmeriCana Experience. Take the Virtual Park Tour and give us a call. The Rio Grande Valley remains the best RV'ing and Retirement value in the country with plenty to do year round. Come on down to Tropical South Texas and find out for yourself. Our GUARANTEE to You -If you are not satisfied with your stay at Americana, and we can't resolve the issue, we will reimburse any outstanding balance and help you find something that meets your needs.